– Letter from Tunisian Human Rights Journalist Taoufik Ben Brik To Fahem Boukadous (August 15, 2010). It’s in French… touching, caring solidarity letter from one human rights journalist, just out of a Tunisian prison, to one now incarcerated. serving a 4 year sentence, got caught in a repressive web that has been a long time in the making in Tunisia. Some of Tunisia’s practices, it can be argued and rightly so, were inherited from the colonial days when a legal system functioned in such a way as to limit or eliminate dissent, and in which the heavy hand of the French secret police was felt everywhere. The goal then – as now – was to present an `image of democracy’ at the same time repressing, crushing any genuine manifestation of an independent Tunisian political voice. The two Tunisian leaders of the independence period, first, one of the nation’s founders, Habib Bourguiba and then Zine Ben Ali, followed in the French footsteps. Both, early on in their rules, promised `glasnost’ – ie – political openness, multi-party democracy. Both pulled away from these promises as soon as their grip on power became even mildly undermined and turned to more authoritarian methods. Bourguiba was a master, in particular, of playing one group within Tunisian society against the others. He’d cultivate different constituencies (Baa’th, labor movement, etc), let them take some initiatives for a short time, and then crush them brutally while encouraging another constituency. And thus he maintained power and tightened his grip. The price of his success was that he failed to create the kind of political culture in which his succession could be crafted democratically. Ben Ali, still in power after 23 years, followed a similar pattern but was, all told, less clever and as a result, generally much more brutal than Bourguiba. Bourguiba’s legitimacy, at least in part, was a result of his having led Tunisia’s anti-colonial struggle, a source of legitimacy that Ben Ali cannot draw upon. Because he’s more brutal, Ben Ali’s base of legitimacy within Tunisian society is weaker than Bourguiba’s and finds himself thus caught in a vicious cycle. To retain power, without a substantial social base within Tunisian society (he has one but it is rather narrow), he must resort again and again both to greater repression, as he did in the case of Fahem Boukadous and the social movement of Redeyef, and lean quite heavily on his foreign supporters in Washington DC and Paris. And the latter of course, exact a certain price for their backing. But more on that later. 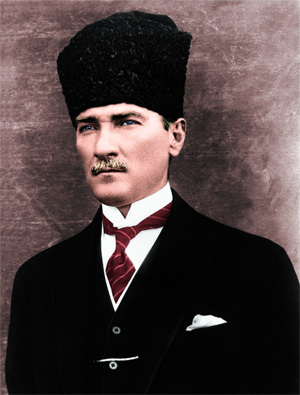 Kemal Ataturk whose path of `forced modernization from above’ in many ways served as Bourguiba’s blueprint. Such an approach emphasizes `development’ at the expense of `democracy’. A fundamentally mechanical and militarily oriented path to development, it is essentially `impatient’ especially where it concerns cultural change and grass roots democracy. In Turkey’s case, until recently, where `democracy’ – ie, the will of the Turkish people – intervened with Ataturk’s development project, the military, Turkey’s standard-bearer of Ataturk’s program, intervened. In Tunisia, things work a little differently but to the same end; it entails a super-tight control from above of the political system, including the military and the security forces, by the president of the country, whose power is virtually absolute.The trappings of democracy are there. There are political parties, a few at least. Opposition parties are `permitted’ but as soon as either they raise too many issues or begin to grow, they are beaten down, first weighed down with rules that limit their operation, and if they persist, decertified and then crushed. There are also several media outlets, some that on occasion challenge the regime, would also not be inaccurate, but their fate meets about the same end as the political parties. There is even a Tunisian Human Rights Committee, supposedly to watchdog the regime and `challenge’ it. It is also the case, that very few people have actually been killed by the Ben Ali regime (from what can be gleaned from outside sources at least). But in the end, all that is little more than window dressing – packaging that hides a far more consistently insidious reality, for if on the surface Tunisia is a democracy, scratch that surface and what emerges rather quickly is a pervasive police state, one that has always magnified `outside threats’ – be it the communist threat during the cold war years, or now, the `threat’ of Islamic fundamentalism to justify its repressive policies. These policies in fact flow from a different logic which will be examined below. It was early June 1967, by which time I had been in the country for about nine months. The rather large group of U.S. Peace Corps volunteers of which I was one, had descended on the country some nine months prior. We were, as I recall, some 250 strong, made up of teachers and architects in the main. Another group of kindergarten teachers would soon follow. The group was spread literally all over the country, some in the larger cities, many in very small towns. My closest friends within the group found themselves in places like Maktar, Le Kef, in the region between Sousse and Sfax along the coast, and some on the island of Djerba. that specialized in the teaching of foreign languages, mostly to government workers and students who were bound for the UK or USA to study. It still exists. A friend of mine here in Denver studies Arabic there a few years ago, and more recently I was in communication with several others who had done likewise. I lived a few blocks away in an apartment building across the street from what was then a Monoprix (a French department store, similar to Woolworths). Although geographically, Tunisia is a long distance from Cairo, a bit further to Tel Aviv, the Middle East War which was about to unfold between Israel, Egypt, Syria and Jordan was on the minds of the whole country. Tensions in Tunis mounted as the war approached. When the war did break out, on June 5, 1967, Tunisia, some 1500 miles away from the fighting, exploded too. It was an explosion of sympathy for the Arabs countries involved in the fighting, and for the Palestinian people who were caught in the middle. The explosion took the form of angry demonstrations all over the country, but none were angrier or more militant than in the capital Tunis. First and foremost, he fashioned himself before the broader public as the great defender of the Arab cause – of Arab nationalism, support for the Palestinians etc – that included, at least rhetorically willingness to take up arms for the Arab cause. As the war opened up on June 5, 1967, there was virtually nowhere in the capital not teaming with people, chanting, demonstrating, unquestionably rooting for `their side’. 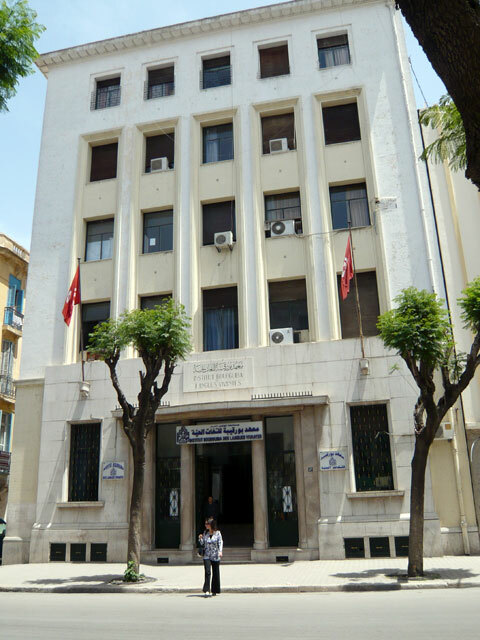 In the first days of the war, the British embassy in the center of downtown Tunis was burnt down, if I remember correctly, several of the embassy staff died in the fire. Protests targeted the US embassy too, in those days located just up the street in Ave. de la Liberte, the street on which I lived, but a small embassy marine contingent kept the demonstrators at bay. 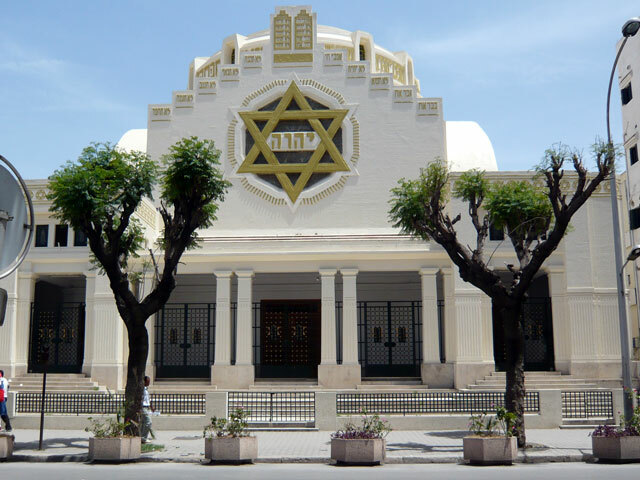 Jewish shops, many of them on the same street in the area of Tunis’ main synagogue were looted as well. (A bit more on this last point later). I saw much of this with my own eyes, as a young man of 22 who was too curious or too foolish not obey the Peace Corps request that we remain inside our apartments. But it was precisely in those days that I also saw Bourguiba’s tactical brilliance up close. These demonstrations were not only an indication of Tunisian sympathy for their Arab brothers and sisters on the front. In a very fundamental way, the legitimacy of Bourguiba’s rule was also called into question, both what he had not yet achieved domestically as well as questions concerning his foreign policy as well, his growing closeness to the United States in particular. Each day that the war continued, Bourguiba’s legitimacy and grip on power seemed to be slipping away. He knew he had to act, act he did and although I could never prove it, my sense was that his actions those days saved his regime. The key was to give the appearances of being a militant supporter of the Arab cause¸ while in fact, doing as little as possible concretely to further that cause. Events essentially forced him to ride the militant Arab nationalist wave, identify with it on some level, enough to convince the Tunisian people, that he too, remained a committed Arab nationalist. One has to recall that Arab nationalism in 1967 had a large, decisive anti-British and anti- French colonial component, that the colonial period with all of its suffering was still vivid in the minds and lives of Tunisians and other Arabs and that the Israeli-Arab conflict was basically conceived within the same framework. The independence of Algeria in 1962 and the terrible war for independence there that preceded it was only five years away. As Algeria’s eastern neighbor, Tunisia had suffered collateral damage from the war and understood from close up the savagry that was France’s war against the Algerians. A few years prior to that, in 1956, only 11 years prior, France, Great Britain and Israel had launched their invasion of Suez, with the goal of toppling Gamal Abdul Nasser from power. The tri-partite invasion was turned back only after US President Dwight D. Eisenhower intervened, pressuring – well, actually ordering – these US allies to withdraw. country, what they wanted to hear. His was a rousing anti-imperialist, anti-Zionist speech. 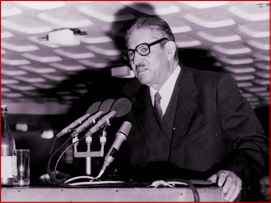 In retrospect, I believe he was basically adopting Nasser’s oratory, and to project himself, at least for a few moments, as a kind of Tunisian Nasser, leader of the Arab nationalist cause, ready to stand up to Zionism and Imperialism. The `supreme leader’ was ready to make the `supreme sacrifice’. Blah, blah, blah. He did something else suggesting that his actions matched his words, a calculated gamble but it worked. In that speech Bourguiba called for volunteers to go to the front to join their Egyptian brothers in the fighting. The call for volunteers to go to the front struck a chord. As I recall, almost half the country volunteered. Enormous numbers of Tunisians from all over the country, all ages, from all backgrounds stepped forward. 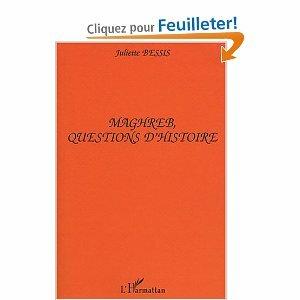 They came to Tunis, to the recruiting centers – and there, in front of tens of thousands of those ready to go fight, `the Supreme Leader’ made a yet more militant speech, that was again televised to the entire nation, and reprinted ad nauseum in Tunisia’s newspapers in both French and Arabic. It was as if the whole country was mobilizing. But to quote my favorite Shakespeare line, in the end it was little more than sound and fury signifying nothing. The volunteers were not flown to the front – which would have taken hours – although granted Tunisia probably didn’t have the supply planes to do it. Instead they were put on trucks, many of them I was told that had no covering and supposedly driven to the front. In actual fact not one truck ever left the country or even made it to the Libyan border. They went down south, along the coast into the Tunisian Sahara where in June already the summer temperatures begin to soar. Some actually went back and forth up and down the coast. The war only lasted six days. Weeks later trucks filled with Tunisian volunteers, none of whom had been given arms of course, were still going up and down the coast. Thus were the radical energies of the Tunisian people dissipated, burnt to a crisp in the southern Tunisia Sahara sun. The threat to Bourguiba’s hold on power had passed. He had survived. What soon followed was a major wave of repression. But now to the looting of Jewish shops in Tunis, something I witnessed firsthand, yet another cynical use/abuse of power. 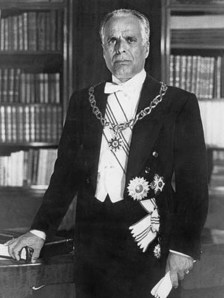 It was little more than state sponsored anti-semitism…not perhaps of the Hitler variety, but what I would call of the Bourguiba variety, that is limited, selective in nature, but with the goal of scapegoating Tunisia’s Jewish Community to divert attention from Bourguiba’s own failings. Most of the people in the streets of Tunis those first days of the war focused their anger against Israel, the United States or Britain. They did so with chants, leaflets, banners, in the cafes pretty much everywhere. On the third or forth day of the war, in the morning around 10 am, I watched the following scene unfold: a group of 75-100 men, appearing rather poor, were sacking local shops on Avenue. de la Liberte. Yes, a disturbing scene in any event, but as it turned out, far from random. I have a clear memory of two or three men, directing the mob. One of them had what seemed to be a list of specific shops to be looted and the crowd went from one store to another doing their dirty work. At one point though, one of those who seemed to be running the show, shouted to those inside one of the shops `Not that one, ‘ he said in anger, `the one next door‘. I concluded from this comment that the wrong shop had been trashed. Pity of course. But which were `the right’ shops, those targeted and which were `the wrong’ ones? were Jewish owned. `The trashers’, it turned out, were lumpen proletarian elements (unemployed and homeless), rounded up, paid, and brought into the center of town on open air government trucks and then `turned lose’ on what I would learn a few days later were Jewish shops. It was all orchestrated, the Jewish shopkeepers actually warned by public officials to stay away from their shops on certain days. It had all the markings of a government-instituted provocation. An old cynical tactic: turn the popular anger away from its causes and from Bourguiba’s own policies, confuse anti-Zionism with anti-semitism, blame Tunisia’ Jews – whether they supported Israel or not, which is irrelevant – for somehow causing the war which they had nothing to do with. In some ways the tactic worked and in others it didn’t. 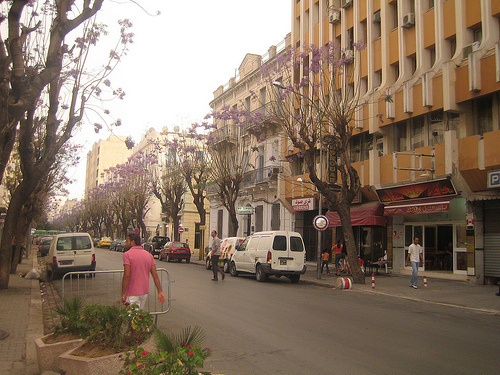 The Tunisian people have a history of openness and moderation – Tunis in particular. The fact that 15,000 Jews still lived in Tunisia in the late 1960s, this nearly 20 years after the establishment of Israel, and a decade after Tunisia’s independence, is an indication of that tolerance. But undoubtedly, the anti-Jewish riots of 1967 shook the community and soon thereafter, over the next few years, many, many of them left – more for Paris than for Tel Aviv – but that is another story, their property and businesses taken over by Tunisians, many with close ties to the president himself. But knowing exactly how to put make up on the corpse, Bourguiba arrested a few of the ring leaders, through them in jail, and re-imbursed the Jewish shopkeepers for their losses, all of which `looked good’ in France and the USA. But something far more precious was lost in the bargain, as Jews who had lived in Tunisia, some for several thousand years, others from the time of the Spanish inquisition, were, once again pressured to flee elsewhere, to safety, leaving only a skeletal community to continue in Tunis and on the island of Djerba.